Guys, we have some very excited news in my household. My son has finally started reading chapter books with me. I am thrilled, because, as you know, this is where it starts to really get good. I am already counting down the time till I can read Harry Potter with him. But until then, here are some of the early reader/chapter books that we have been reading together. 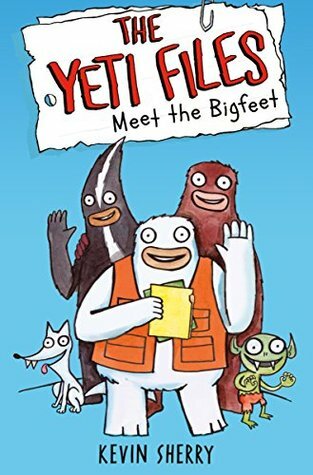 My Thoughts: This book is all about Blizz Richards, a yeti, and a cryptid. He works in secret with his other friends who are cryptids to make sure they are kept in secret. Not sure what a cryptid is? Think Bigfoot, Loch Ness Monster, Dragons, etc. Enter the bad guy, George Vanquist, who is always trying to expose these creatures. 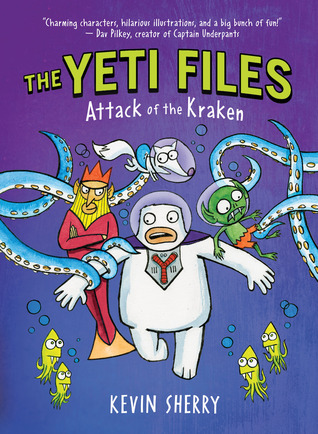 Each book in the series tackles a different type of cryptid, so if you have a monster loving son or daughter in your life, they will get a kick out of The Yeti Files. The illustrations are similar to comic books, which only adds to its enjoyment. My Thoughts: I have enjoyed Adele Griffin's YA novels, so I was excited to check out her children's book, Oona Finds an Egg. Oona Oodlethunk and her family live in prehistoric times. They are similar to the Flintstones. Oona, like most young kids, wants a pet, but her brother, Bonk, is allergic. On one of her adventures, she finds an abandoned egg and takes it home. Will it be a new pet for Oona? Oona becomes a good caretaker and protects her egg, but things take a turn for the worse when her egg goes missing. My son and I loved this book and have plans to continue with the series. 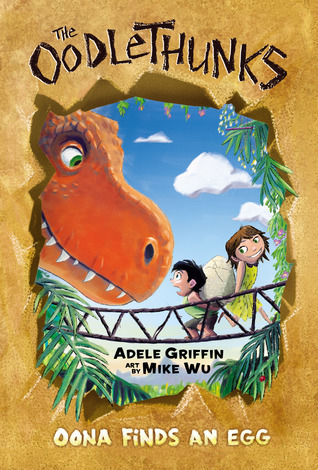 My son, who is a dinosaur fantastic, especially appreciated the time period and Griffin's writing style is easily accessible; plus, it's laugh-out-loud funny! The illustrations are also well done and add to the story. Both boys and girls can really enjoy this series; you don't have to only be a fan of dinosaurs or prehistoric times to appreciate it. My Thoughts: So, I guess it was inevitable that my son would come across these books. I cringed at the thought of reading them aloud to him. I hate potty jokes and the whole book seemed rather silly. But with some reservation on my end, I started this series with him. I wasn't sure if it was a bit too "old" for my son, but since I was reading it aloud to him, I thought we would give it a try. Man, he lapped it up like free ice-cream. He absolutely loved it and I have never heard him laugh so much reading a story before. 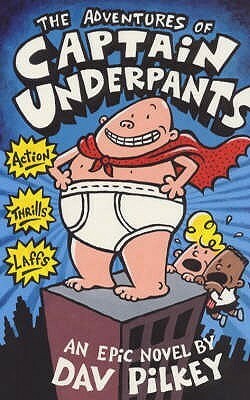 If you are new to The Captain Underpants series, it's about Harold and George, two best friends and major pranksters. They created a comic book hero, Captain Underpants, and they hypnotize their principal into thinking he is this superhero. Chaos ensues. The bad guy in the series is Dr. Diaper. I mean I will admit it that it did make me smirk a bit. The cartoonish illustrations definitely added to the story; my son loved them and the "Flip-o-Rama" section of the story my son went bonkers over. So, I will admit it. 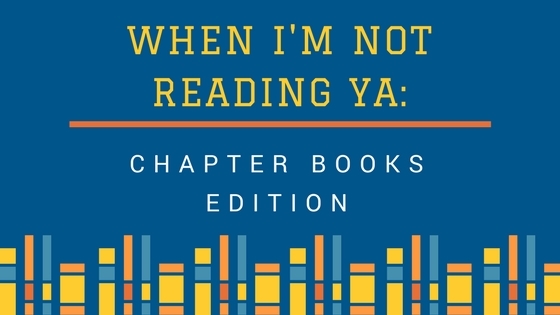 Any book that can make reluctant readers fans of reading is a winner in my book. My son immediately demanded the next book in the series, which is unfortunately titled Captain Underpants and the Attack of the Talking Toilets. 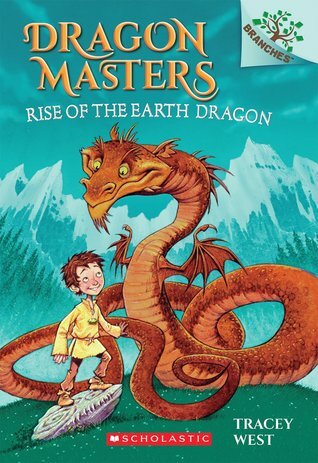 My Thoughts: My son loves all things dragons and knights, so the Dragon Masters series definitely got us both interested right from the start. Drake and his family live on an onion farm until one day a knight comes for him and takes him to King Roland. Drake is being recruited as a dragon master. He is one of a few children that are in charge of training King Roland's dragons. Each dragon has a secret power and Drake can't wait to meet his dragon and find out what his power is. This is a fun start to a new fantasy series for young children and an introduction to the fantasy genre. There is an evil wizard that is up to no good and my son and I have been guessing his motives. 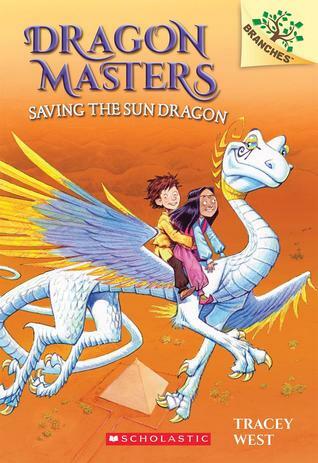 I like how even though this book takes place in a fantasy world, it includes some real-life issues as well, especially when it comes to Drake interacting with the other dragon masters. We are loving this series and it's perfect for newly independent readers, too. 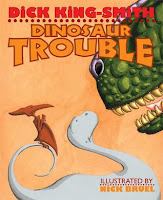 My Thoughts: My son wanted me to read him Dinosaur Trouble, because, well, dinosaurs, and I have to share I am not a fan. The main characters are pterodactyls and apatosauruses who, initially, don't like each other. But their children bring these two opposing families together and they unite to fight off a menacing Tyrannosaurs Rex. The vocabulary in this book was challenging at times (due to an intelligent mother pterodactyl) and I found the overly obvious message on friendship and prejudice to be a little too pushy. The illustrations are done by Nick Bruel (who we love from the Bad Kitty books), but there weren't enough illustrations to really make an impression on either of us. We just thought this book was ok. 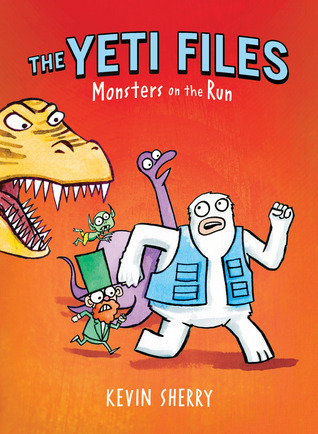 Fans of dinosaurs or prehistoric times should check out The Oodlethunks series instead. 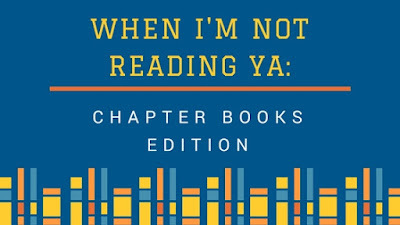 So, what chapter books do you recommend for early readers or for read-alouds? We are always not the hunt for our next favorite read. Have you read any of these books? Let me know in the comments below. I can't believe he is reading chapter books already! Time flies! Captain Underpants is so incredibly popular. I doubt I'd enjoy it but I'm glad your son likes it. Other series that are really popular at our library include Magic Tree House, Hank the Cowdog and Geronimo Stilton. Yes, we are reading it together as a read aloud. He is finally able to sit and pay attention to it. Thank you for the recommendations. We will check out those books next! Thanks for visiting, Christina!